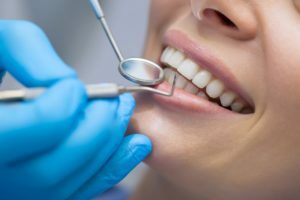 Do you need a new dentist in Tomball? You have an important decision to make. You have unique oral health needs. Although there are many excellent options in the area, not all will meet you needs or your expectations. To make the process easier, there are 5 tips to follow to make the right choice for your smile. Before starting your search, create a list of your personal preferences, such as the location of the dental office, the languages spoken, and their office hours. This makes scheduling appointments easy and convenient. You also need your dental care to be affordable, so look for a dentist who accepts your insurance or offers in-house membership plans. To create a shortlist of potential dentists, ask your friends and family for referrals or search local dental societies. You can also use the American Dental Association’s Find-a-Dentist tool. Review each dentist’s qualifications and experience to find one who has undergone the training you need to specialize in your specific oral health needs. Look to ensure they are supported by various dental organizations, like the American Dental Association. Your oral health needs constantly change over the years. To have your needs met from one location through all stages of life, choose a dentist who offers complete services. In addition to general dentistry, choose one who also provides areas of specialty, like dental implants. Take the time to read online reviews and testimonials about the dentist you are considering. This provides you with firsthand insight into the level of care and the results you can expect to receive. Now that you have narrowed your list, schedule a meet and greet with your potential dentist. When you walk into the office, you should feel comfortable and relaxed as you are greeted by a welcoming dental team. While you are there, check the cleanliness of the office and ask about certain amenities, like advanced dental technologies. If you need a trusted dentist in the community, we encourage you to meet Dr. James D. Geer. Since 1977, Dr. Geer has provided the area’s residents with high-quality services to help them reach and maintain their oral health goals. In addition to earning his dental degree, he also completed advanced training in oral surgery. Due to his qualifications and experience, he is an active member of various dental organizations, including the American Dental Association and the State of Texas Dental Association. Dr. Geer will meet your needs and exceed your expectations when needing a new dentist. If you are ready to benefit from the best, contact our office today to schedule your meet and greet. Dr. James D. Geer strives to provide his patients with superior services to promote the health of your teeth and gums. With complete dentistry from one location, he helps to create generations of healthy smiles. Contact our office today to schedule your appointment with Tomball’s trusted choice for dental care.